Make an appointment today to ensure you get the attention you deserve during your visit! We have a beautiful penthouse office in Broomfield, CO where we give live DigiXstream demo. Can you please help me find a reliable source where I can stream Fox News? The VWdubt25 add-on only_connects_5% of the time. the audio stutters too badly sometimes to understand. Those are the only two sources I know of for the DX3. Thanks for reaching out William. Please stay tuned to our blog posts as they cover a wide variety of information and we may cover your question in one of our future posts. UPDATE: Due to numerous requests. We have decided to offer DigiXstream and Add-on Support to any and all DigiXstream Box owners for a service fee. You can choose between a full year of support of just an hour. William, you will not get any satisfaction from these people. I purchased a Digixstream box about 3 years ago, biggest waste of money I’ve ever seen. Product doesn’t work as advertised, you spend more time trying to get a program ready to watch (if you are able to at all) than watching the program itself. Tech support does nothing to help! I’ve tried to get my money back after the second or third week I had it but no way. I’ve thought several times about calling the better business bureau but haven’t (yet). Good luck, hope they treat you better than they have me. Marty. Your experience would have been very different if you had purchased a supported unit from our DigiXstream Shop. You must have purchased from an unauthorized dealer… or even if you had purchased from DigiXstream.com (the manufacturer), they don’t offer tech support to the public and they went out of business before this new year. Our ‘DigiXstream Shop’ stopped selling their DigiXstream boxes over a year ago. While we continue to support that brand, we have replaced all the DigiXstream boxes with our own brand, the http://www.FOMOstream.com Fs1 Series Android TV Box. When you order a FOMOstream® box with phone support from the FOMOstream® website, you can speak directly with the owner and developer of the box to make sure you are getting the most out of your purchase. You’ll also get Grandfathered (or Grandmothered) in so that you will always receive a $50 discount on future FOMOstream® box orders even if it’s not for you. I have found recently that Digixstream “support” does not exist so refrain from thinking about purchasing this item. I have tried to get my box working again (which was purchased directly from the company). Issues arose and its been excuse after excuse on why they wont call me back. I even said call ANYTIME or ANYDAY…actually got a response that said “what time”? Gave them a time and day, which passed with never a call. Its too bad because the 300 I spent lasted for just 6 months then went bad. At first I began to tell people about the product, now I cant wait to tell them about my terrible experience. Purchasing a product directly from them does not matter about the “1 year free support”, they wont call to help out the customer. Digixstream had no problem taking my money, but they do not live up to there word about support. DigiXstream.com and DigiXstreamShop.com are two completely different companies. DigiXsteam.com is the manufacturer, so you would think they are the best place to order from right? Wrong! Not only do they not offer tech support, but they are also the most expensive place to order from. DigiXstreamShop.com, on the other hand, has been operating as the Official DigiXstream Sales, Help, and Support Hub since 2014 (longer than anyone by far) but we do not offer support to the public for free. Only our DigiXstream Shop customers who order our Fully Setup units that come with free tech support or those who order our support ala carte get the benefits of such. Hopefully, that clears some things up for you and anyone else who may have the wrong idea. Do your boxes come with all the add-ons, Library created, and everything else setup as needed? Yes Sir. Our Fully Setup boxes that come w/ a 1Yr Warranty and ‘Tech Support’ do. We will set your box up acording to your demographics (set time and weather) and install everything for you so that it’s ready to plug and play. We even upload some fancy HD backgrounds for you that you can change at will. There will be many other Addons you can add yourself but we will feature all the ones we recommend to you based on what we know works well, and has content that caters to any average family… of most any culture. Our Fully setups come ready to plug and play and also come with a 1yr warranty and tech support through DigiXstream Shop. I bought mine from a sales rep at the Ohio state fair and I was told i would receive lifetime tech support but never received any information in the box about tech support. I starting to get upset with this product due to lack of instructions in the box and they way I have not received any help in making the picture on the TV 1080p clear. I liked the idea about this product but I getting ready to return it if I don’t get answers soon . Really need help. Do I need to buy vpn service to watch content? If no, is it recommended? VPN can be used with this box for anyone who desires to use it. It may be more advantageous to use it in some countries more than others. Most of our clients in the US run our DigiXstreams without a VPN. Thank you for getting back to me on your Digixstream box. Last questions, will the box have the Library and Bookmarks (where I can access them, I know I need to set these as I’m watching) setup as well? And I also run Kodi on my computer will there be a way to setup an account or profile that I can access in different locations but show the same setup? I appreciate your time with my questions and I can’t wait to get rid of Direct TV. And I will purchase my box as soon as I hear back. Yes, there will be folders that you can add your Favorites/Bookmarks to. Sorry, but I can not answer your other question involving Kodi on any other device. One last question, I promise? Is there tech support for boxes that I purchase that don’t come setup? I notice the price is different, $20. There is a $70 difference. Not $20. You were looking at the difference between the standard DL4 and standard DX4. That is a $20 difference. The standard boxes we sell come with a year warranty but not tech support. Only our Fully Setup DL4’s and DX4’s come with Tech Support. If you warn people about buying from 3rd party and lack of support, why do you sell them in bulk? Good question. We have no reason to not offer a good deal on bulk to anyone who wants to order in bulk. We encourage all 3rd party resellers to provide support for their clients, but with companies like Amazon and Ebay it’s not even realistic for them to try to provide support for all their clients. Same with many other 3rd party resellers. We sell to miscellaneous shop throughout the globe and some of them provide a bit of support for their clients but it’s very minimal because if they gave support every single box they sold they would practically have to open up a call center to keep up with the calls. This technology is very new to the public. We, DigiXstream Shop ourselves can’t possibly provide support for every box we sell. This is why we only offer free support for our fully setup boxes, and bulk purchases purchased from our shop. For bulk purchases, only our resellers get the support. Not their downline. All our resellers understand they are responsible to support their own downline. At the same time we can’t force everyone that purchases in bulk to provide their own support for their clients, and therefore we want people to be aware of the importance of this so that they can make an educated decision on whether or not they trust their reseller to provide that support for them. If it’s a local guy you don’t know that knocks on your door, and you wonder if you will ever see him again, use discretion but ‘usually’ those guys do understand the importance of support because that is how they get referrals and build large networks of clients that provide more referrals. If you are a reseller that gives good support, there is no reason in the world why your downline wouldn’t come back to you for more, and more, and more… and they do. Those are the resellers we like the most. Not because they sell more boxes, but because they ensure each client is thrilled with their purchase. Is webster Enterprises of Spring, TX one of your authorized dealers? Lee, They are not an authorized dealer of our DigiXstream Shop. 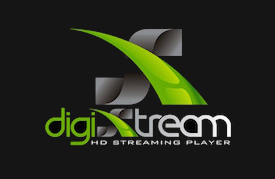 We have personally kept them from becoming Authorized for over 10 months now but DigiXstream, LLC has recently Authorized them as a dealer now despite all of the complaints received about them. Our DigiXstream Shop has done all they can to protect the public from Webster Enterprises but some things are out of our hands. Our DigiXstream Shop is ashamed to be under the same umbrella as Webster Enterprises but until DigiXstream, LLC. gives them the boot, there is nothing our shop can do about it unfortunately. What is the difference in your OCTA Core & the Quad Core? Do your units come set up to see what ever nfl game I want to see and preset that I can see TV shows that are just airing, or do I have to download something myself? How do I know if I have access to the full tech support or not?? If you purchased a fully setup DigiXstream box from us w/ a 1Yr Warranty and Tech Support from our DigiXstream Shop, you have free tech support. If there is question of whether or not yours come from our shop, it probably didn’t but you can call us and we can do a search to see if we can find your order with us. There is a USB Dongle found inside the underbelly next to the batter. You will need to pull that out and plug it into the side of your DigiXstream so that if can read the signals coming from your mini keyboard. The new/updated format thats been dumped on DigiXstream owners is a complete drag. How do we locate the T.V. shows and movies that we want to watch if the only items you list are 2015 or 2014 related?? It is so time consuming to fumble around for hours trying to locate a show when you’ve stuffed cartoons and German or Japanese titles ALL from 2015 + 14 on the same page? Your documentary section is a HUGE Mess!!! No movie info there to let anyone know what the movie is about, How about posting directions on HOW TO GET WHAT WE PAID FOR?? Denise, no new DigiXstream updates have been dumped on anyone. Any updates we ‘offer’ would have only improved your DigiXstream box. Did you “pay for” tech support? If so it wasn’t through our DigiXstream Shop’s Official Help and Support Hub. If you had purchased a fully setup box directly from DigiXstream Shop you would not be having such a tough time. All of our direct clients are very happy with our product and service. It might also be helpful to understand that DIGIXSTREAM & DIGIXSTREAMSHOP SITE DOES NOT HOST, PROVIDE, ARCHIVE, STORE, OR DISTRIBUTE MEDIA OF ANY KIND, AND ACTS MERELY AS AN INDEX (OR DIRECTORY) OF MEDIA POSTED BY OTHER ENTHUSIASTS ON THE INTERNET, WHICH IS COMPLETELY OUTSIDE OF OUR CONTROL. I order 4 of this boes straight from Digixstream and they send me a separate sheet with imformation how to set up this box and right now i not go back to cable or Satellite for nothing in my life . Event e.removeEventListener? Thats good Andrea. You would have been even happier if you would have ordered directly from our DigiXstream Shop site because you would have paid less, gotten free S&H, and if you would have gotten one of our fully setup boxes, it would have arrived fully setup already and you would have also gotten free tech support for a year to help maximize your user experience. (CORRECTION TO PREVIOUS POST-CORRECT EMAIL IS morrisjames529@gmail.com) I am very interested in purchasing a box. I am ready to buy it. I am stuck between the DL4 and DX4. I presume, the DX is a better buy? I also wanted to know, is it correct, from what my research has shown me, if I buy your box from Amazon (and a 3rd party probably) it will NOT be “Fully Loaded w/Kodi” and other add ons and I will have to do that myself (which I don’t want to have to do) AND a 3rd party does NOT offer any support? Is that correct? I DO NOT want to buy a box and have to get it home and go on youtube to try to figure out how to download all the add ons that will make it work. If I buy one of the boxes from you direct, FULLY LOADED (I need explanation of what all that really means) will I just have to buy it, get it, plug it in, set my wifi or Ethernet, turn it on, and watch the channels? That’s what I want to do. And what all does the 1 year Support include? Just seems to me it’s a better deal for me to buy it FULLY LOADED from you, off this site, rather than save a few bucks and get it from Amazon (aka 3rd party). I am not a “Super” techi person and I have no problem admitting that (smile). I need this DIGIXSTREAM process/purchase/relationship…..to be short, sweet, simple and easy to plug n play. Please advise. Hi Morris. I think we spoke on the phone but just to recap… The DX4 Octa Core is indeed the best Android TV Box on the market. Your research is correct. If you purchase from Amazon it will not come fully loaded nor will it come with tech support meaning you are all on your own as far as setup and support goes. You definitely want to order through our DigiXstream Shop to avoid any unnecessary frustration that come from trying to set these up, learning the ins and outs, and overcoming the occasional hiccups that may occur. You will get up to a 45 min introduction educational call from the owner himself during your first tech support call and you will have as much as 20mins of help each week thereafter anytime you need it for the first year. The entire purpose of our DigiXstream Shop is to make our product as simple and easy for you as possible. Or you can order one of our fully setup DigiXstream boxes directly from our DigiXstream Shop and use that support education for both of your boxes. so I can utilize the service agreement if I purchase one fully loaded unit from you for both my units. since I was stupid and bought a unit from the south Dakota state fair not realizing they were a 3rd party seller. they totally lied at the fair stating that I had full tech support. Sure Steve, you can use the education you receive from tech support and apply it to both of your boxes. Sure Steve. If you order one of our fully setup boxes with tech support and would like to use the first hour of tech support call to troubleshoot and repair your other box we can do that for you. Just know that support questions and requests may be limited to 20 mins per day, 45 mins per week, and or 12 hours total per year thereafter. Their should be no reason to need that much help or support but we put the clause in their just to ensure no one abuses this privilege. I was wondering if the people we purchased our box from this past weekend at our State Fair are considered Unauthorized Dealers. The company name is Webster Enterprises out of Texas. Thank you for your help! Those guys at the fair are 3rd party resellers. Their boxes are not completely setup like they tell everyone they are and their tech support is horrible. If you are lucky enough to get anyone on the phone they will only help out with the basic setup. You know, the one that was supposed to already be done. We are very unpleased about the way they represent our product. Just purchased box, 9-18-15, from a state fair. Kodi app was not installed, I have tried several times to install, no luck. I have tried resetting the box, still no luck. Can you help me please. I am using a wifi system, and have time warner internet. Thank you. I saw you product at the Oklahoma fair . Was very impressed at the Demo. Wanted to research before spending that much money. Now glad I did. How fast must my internet speed be to get the DX4 to work properly . Right now I have the lowest speed Cox.net offers 15MBs (?). Hello, I just ordered a fully set up box from you on September 28th. I had to return a unit back to the Bloomsburg Fair…..all went well. I am curious if I buy other boxes for other rooms and cottage as well, If you offer a bulk discount price? Thanks for your time and also assisting me with my order. Yes Ed. We do give discounts on bulk. Give us a call and we will be happy to discuss this with you better. (800) 337-4077 or (303) 997-1709. Can you stream LIVE NFL, MLB, and NHL games on this box? I do not want to have to wait a day to watch the game when I can do that already. I am looking to purchase your DX4 Octa-Core Device if I am 100% confident that I will be able to watch live games. Yes Jeff. Our DigiXstream boxes will let you stream the games live as well as pre recorded. When are your wireless keyboard & remote accessory packs going to be back in stock? I wanted to order at the same time I order my box, but have been checking for over a month and the item is still out of stock. Please advise on this. Also, what is the “one year tech support” deal? Is there an annual support charge thereafter? I need to update the images because the pictures of the white one is an older retired model. There is a picture of a thicker (better built) Mini Keyboard w/ Trackpad in that sales page. That is the one I would be sending you and the one I recommend unless you like the air mouse feature better than a trackpad. We’ll probably get some more air mouses again soon as we have had a few request for them. As for the one year off support… you will most likely be a pro by the end of that year because I will have most likely have taught you how to overcome pretty much every obstacle within that first year. If you really needed support help after the first year, we would offer you a reasonable deal to renew support. It’s important to note we will also continue to update your box for free for as long as you own it. Asking us if you can get a certain channel is like asking Google if you can access a certain website. Odds are yes, but Google doesn’t actually have any true say in it. DigiXstream and DigiXstream Shop does however continue to feature all of the best video addons within our Digi Wizard so you don’t have to become research junkies just to keep up with the changes in the industry. Hope that hopes explain things better Bruce. All sales are final. We do not offer a money back guarantee because I personally fully set these boxes up and then provide a 45min to an hour DigiXstream training over the phone which is part of your free tech support for the first year… and even if we could somehow resell a returned box, you wouldn’t be able to return the setup work and free tech support we provided. No one ever tries to return these anyway unless they got a DigiXstream unsetup and without tech support and then discovered that they were way in over their heads. As for 4 boxes. We can offer you a really special deal on a box of 4. You’ll have to call our DigiXstream Shop for that though. You will not need to download apps for international channels or movies when you order a fully setup box from our DigiXstream Shop. We take care of all that for you. Please put a stop to Webster Sales, looks like I am not the only person that was ripped off by them at a State Fair, I purchased in KS. We love the product but have had some difficulty with set up and now it looks like Webster Sales is not authorized. They did say we had free technical support and warranty and offered a 30 day money back guarantee , at first I wanted to return box due to no set up instructions but of course Webster Sales does not respond to our inquiry but we have worked our way thru it and we do love the box. I hate to think we now have to spend another 144.00 for a year of support. I wish we had known about this box and you before seeing this at the fair. We would have definitely bought from you. Of course it was an impulse purchase because it looked like a great thing in the demo. Yeah, it is unfortunate the way those guys decided to do business. Glad you know about our DigiXstream Shop now Teresa. Share us with your friends and when we train and teach them how to get the most out of their box, they can help teach you too. The $144 for a full year of support is definitely worth it though because many don’t know what they don’t know. Best option is to get a fully setup box from us through that comes with a full year of free tech support. Is kodi comming back? I can’t stream any movies now I’ve only had the system for a couple months and have loves it but now it’s pretty useless as I can’t stream any new movies. All of our units stream the same content… The DX4’s have 2 gigs of RAM instead of 1 and can also stream in 4K Resolution and 3D Graphics. If you don’t have a 4K or 3D TV or anticipate getting one in the next couple of years, you will probably be just as happy with our DL4 Quad Core Android TV Box. Just be sure to get the one that says ‘Fully Setup w/ Tech Support Included.’ Otherwise you will almost surely wish you got it with free support included as most do need the support to help with the learning curve. Not sure what you mean Ryan. You will always find movies available if you set your DigiXstream up correctly. Can you use any keyboard with these or do you have you one of the ones sold by you? You can use any keyboard with a USB dongle but it can be hard to find a good one sometimes. We went through 3 different ones before we found one we liked enough to reband with the DigiXstream logo. husband went to use it tonight and we can not get anything on it. hit the ok button, on the cancel button is highlighted. That was not DigiXstream or DigiXstream Shop at the New York State Fair. That was a 3rd party reseller. Anything they promised you, you will need to take up with them (the company you purchased from). DigiXstream Shop is not only an Authorized Dealer, but our DigiXstream Shop is the OFFICIAL DigiXstream Sales, Help, and Support Hub and the only true place to get these units ‘fully setup’ w/ 1yr warranty & full tech support included. Do all the units come with the power supply, HDMI cable and the remote included? We are new Digixstream users and still learning our way around. Can you help me understand why some recently aired TV shows have no stream available? It is also a little confusing when you can search through programs or movies and find one that you want to watch, select it and go through the process for the list of sources to come up, then when you select one, it says “no stream available. Is this normal, or are we doing something incorrectly? Thanks for any direction/information you can provide on this subject. How can I get major league baseball games? Hello. If I find a suitable channel, how to add to Favorites ? Is there a common place in the system to store all the favorites found in the system ? if I place a order for myself and my friends and neighbors with tech support. will friends and neighbors get tech support also or just the person placing the order. or do we have to split up all orders. If you are ordering for them, you can just tell us the names of those who you are giving it to… Or, you can leave it open and assign it to whoever you want when you figure out who to gift it to. I just got off the phone with DigiXstream Shop and had a very interesting conversation. I really like what this company is doing now and plans for the future. Have patience with learning to manage your DigiXstream box and be part of this growing enterprise which will, more and more, actuate a great streaming experience. I will say here, tat I was a pretty disgruntled DigiXstream box user. DigiXstream Shop is working hard on the application, and you should too. Read the blog and access YouTube to get up to speed as an able user. You will be glad you do this. This is a cooperative and vibrant movement toward cutting that expensive cord to content that you pay for that is completely stupid – rife with ridiculous content and numerous, endless commercials. Be sure to understand that DigiXstream Shop needs to protect its intent to not let anyone steal its methods and content because the commercial evil empire (ie, ISPs and mobile providers) will take this over and screw it up for profit, profit, profit. I’m an old guy and, way back when, I subscribed to the first cable ISP available. Paying for the service meant there were no commercials. But guess what: commercials began to appear more and more until you get what you see today. Now, you pay ISPs big money to watch commercials. So, get yourself a VPN let DigiXstream Shop assist you, and learn how to manage KODI well. Thanks for the love Stan! Will there been a addon that has just hunting shows on it like the fishing add-on that came out? Possibly if enough people request it. hi.. i have a question in regards to movies. Can i change the language of the movie, specifically into italian? You can give it italian subtitles if italian subtitles were ever made for the particular content you are viewing. My box crashed that I bought from guys guys in September of last year and I rebooted the box but lost the dragon streams add-on and tried the torrent link but did not work is there away u can help get the add-on back ? Kyler, you are one of our supported clients so you can contact us during regular business hours for help and support. We don’t answer support questions here. Good Morning – For the most part my box has worked until… Well that is not the point, I purchased support recently because I want to ensure that I can watch my NFL games this year. I did the 1 year support, well, just in case. I want to call Saturday but how do you know that I purchased? I dont see anything besides a PO. Bob, you can reach us during regular business hours for help and support. We can pull up your order. We have a digixstream, but need a new AC adapter/power cord. Are these available for purchase? Yes Jane, we sell replacement AC adapters/power cord for $15 S&H Included w/in the US. We can either take your order over the phone or you can email us at support@digixstreamshop.com requesting a paypal invoice to secure your new AC adapters/power cord ready to ship USPS 2nd Day Priority Mail. My DigiStream box was acting up so I did a factory reset. Only problem is, Kodi is no longer available on my box, and I can’t for life of me figure out how to get it back on my box! Any ideas? so my box is having a manufacture malfunction and you’re telling me I have to pay you to walk me through fixing it? No Joe. I never implied that you have a manufacturing malfunction. That would be highly unlikely; and the issue you described that you are having can never be related to a manufacture malfunction. These boxes do not come with free tech support unless purchased fully setup with tech support included through our DigiXstream Shop. We will never devalue the support that our direct customers have paid for by giving it away to others for free. Our supported customers are the happiest of customers because they get help from us as they need it, and also get lots and education to improve their user experience. The security that comes from our tech support is more important than the warranty because the warranty is only helpful if you know for sure that something is wrong with your unit, which our tech support can help you determine. Joe, you’re not missing anything, I purchased the box DIRECTLY from them, took my money and I have a software issue. Filled out the website info they have you fill out, then the BS starts. Excuse after excuse via email on why they didn’t call or even “whens a good time to call”, doesn’t matter they won’t call to help. After 5 separate times of giving them a day and time, got no phone calls to help out the customer. At one point I responded to the email “call me anytime and any day” to get this solved…actually got an email back, what time do you want a call? Are you kidding me!!! Support is a joke, can’t imagine my company treating our customers this way. At first, I was positive to this company with people and co-workers I know, wow that has changed. I will now inform them of the truth. James, I think you have a misunderstanding. DigiXstream.com and DigiXstreamShop.com are two completely different companies. DigiXsteam.com is the manufacturer, so you would think they are the best place to order from right? Wrong! Not only do they not offer tech support, but they are also the most expensive place to order from. DigiXstreamShop.com, on the other hand, has been operating as the Official DigiXstream Sales, Help, and Support Hub since 2014 but we do not offer support to the public for free. Only our DigiXstream Shop customers who order our Fully Setup units that come with free tech support or those who order our support ala carte get the benefits of such. Hopefully, that clears some things up for you and anyone else who may have the wrong idea. DigiXstream.com and DigiXstreamShop.com are two completely different companies. DigiXsteam.com is the manufacturer, so you would think they are the best place to order from right? Wrong! Not only do they not offer tech support, but they are also the most expensive place to order from. DigiXstreamShop.com, on the other hand, has been operating as the Official DigiXstream Sales, Help, and Support Hub since 2014 (longer than anyone else by far) but we do not offer support to the public for free. Only our DigiXstream Shop customers who order our Fully Setup units that come with Free Tech Support or those who order our support ala carte get the benefits of such. Hopefully, that clears some things up for you and anyone else who may have the wrong idea. I purchased a dx4 quad core at the Iowa state fair 4 years ago. Everything worked fine for awhile using digiwizard. Had to restore the system due to some problems. !Only Wizard was the flavor of the month. I restored the system and once again the system worked fine. Once again the system was having problems. The new method of restore was a beast and there was no documentation available online. Fortunately there was one YouTube video with only a brief mention of setup using Media setup and Media player. Bingo the system was running again. Someone or something is now removing all the apps leaving only an operating bar with no apps. I have had to run the setup several times in the last 6 months only to have it rolled back again and again. I have been in touch with every DigiXstream support only to be told that they were not the vendor that sold me the unit and just like you they will all gladly sell me support. I’m beginning to feel that a scam is a scam is a scam. Is it possible that someone can remotely wipe the apps from a system? I think we have spoken before. DigiXstream is the only company that can remotely wipe anything from your box, because DigiXstream was the only company who maintained your box… but DigiXstream went out of business before the new year. Long before they even went out of business their older boxes became obsolete because they wouldn’t run Kodi 17 or higher. Even if DigiXstream was still in business, they NEVER provided tech support. Our DigiXstream Shop was the only place that you can get official DigiXstream Support… and only if you paid extra for the support through our DigiXstream Shop. I factory reset my dx4 and now theres no showbox or megabox in the tvappstore…i use them the most an need to know how to get them back! They have every tv show with every season and episode so i used them frequently. I went to addons an seen showbox an tried to download it an it said something about failed repository..plz help! My digi dosent have the wizard or kodi anymore. it dosent want to load anything. very disappointed. have had my digi for a few years and loved it till now. why did everything change??????????? We’re aware of some issues that you might also be aware of. Like 1/3 of the featured Add-ons don’t work, or require memberships to work. You may also notice that many add-ons don’t perform as well as they used to on the DigiXstream. This is because Add-ons are all upgrading to work with Kodi 17+ which requires Android 5.0 or better… and the DigiXstream DX4 features Android 4.1, which is outdated. So is the DX4plus which tops out at Android 4.7. Of course, it also doesn’t help that DigiXstream went out of business before the new year. Unfortunately, this and other DigiXstream box issues are out of our hands because DigiXstream Shop no longer has any role in the development of the DigiXstream brand. We will continue to service and repair their units for our customers but our team has moved on to bigger and better things. Our FOMOstream® Android TV Box is MUCH easier to set up and navigate! Each model in the Fs1 Series also has more upgrades and capabilities than any other Android TV Box on the market !!! FOMOstream® brand is not affiliated with DigiXstream in any way, other than our team, who has helped to develop the DigiXstream brand over the years, is now the sole developer and owner of FOMOstream® Android TV Boxes. The same core values that our team has brought to the DigiXstream brand over the years have now been shifted to our brand new FOMOstream® Android TV Box. I have a question. At the moment I don’t have cable OR internet at my home. I cut the cord in 2017. However, my friends have two DigiXstream boxes, and I truly enjoy watching with them whenever I visit… enough so that I wish to purchase my own system now. Obviously, I’ll have to find an internet provider. What is the recommended internet speed to run your system at optimum quality? Thank you!